Welcome to our Raglan paradise. Our batch is comfortable with a relaxed atmosphere. 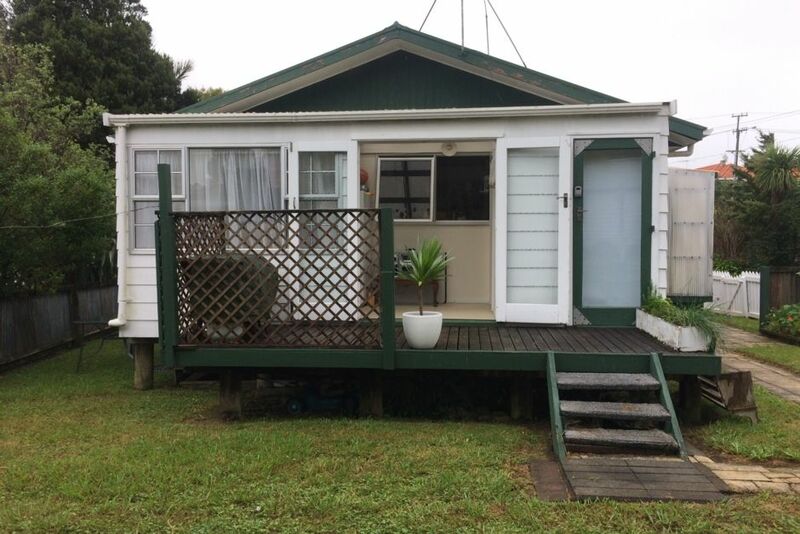 It is great for family as it is fully fenced with a neighboring park, a group as it is able to accommodate many, and a romantic couple on a quiet weekend away as it is self sufficient and close to all necessary (and not so necessary) shops, cafes and restaurants. Although there are beds to sleep 8, there is an additional double mattress which can be used. Although there is only one bathroom there is an extra toilet. Come and stay here, you will not be disappointed. Great for families, groups and couples. Kids and adults relaxed immediately, highly recommend this bach for families, the playground almost a joining the bach is fantastic. Although it took 5 people to work out how to get the key, it was all worth it when we got inside. From an outside glance, all you can see is a small house but one step inside and you feel how big the love is there. The house was kitted out with a plethora of activities for families - from Cards Against Humanity to your classic Jigsaw puzzle, this house was made to entertain. The sleeping arrangements worked perfectly as well. The beds were comfortable and warm, which when you're staying away from home is all you can ask for. The kitchen space, whilst being small, worked wonders. We were able to co-ordinate our meals brilliantly and the amount of facilities and equipment offered was pleasantly surprising. In summary, I would definitely return to this property again. There are too many pro's and very little con's. The whole experience was like a home away from home. Big thanks to the owners once again! Always enjoy our stays at the bach when visiting Raglan. Very comfortable and everything close by. Jenny is always a pleasure to deal with. Great spot near town and next door to the playground. Everything there we needed for our stay. House probably needs a bit of a spring clean but that's a minor issue.